NoiseHush offers two great pairs of affordable noise-cancelling headphones. The i9 BT comes with Bluetooth connectivity while the i7 does not. Check out the pros and cons of both of these pairs of headphones in this in-depth review. The i9s are wireless Bluetooth headphones for those who live life on the move and need accessories capable of matching their life styles. My first impression of these headphones is that NoiseHush is going for function and comfort over style. The lightweight design and memory foam ear cups allowed me to wear them for hours without feeling like my head was being crushed. The i9s offer Bluetooth connectivity to your iPhone and have all the necessary controls directly on the ear cups. The noise cancelling rate is 85 percent and can be activated by flipping the switch on the right ear cup. The i9s come with a detachable aux cable, gold-plated stereo plug adapter, gold-plated airline dual plug adapter, USB charging cable, small mesh bag, and a hard-shell travelling case. And with so many options and items included, the starting price is substantially lower than competitors like the Bose QC25 or the Beats Studio Wireless. The NoiseHush i9s could be improved by using more durable materials. Although it would add weight, they would be able to withstand drops more easily. It would also be nice to see them come in more colors. Overall, I would recommend the i9s. 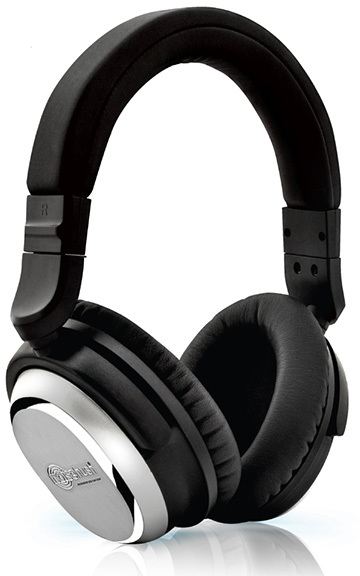 Especially since they offer similar features that brands like Bose and Beats offer at a fraction of the cost. 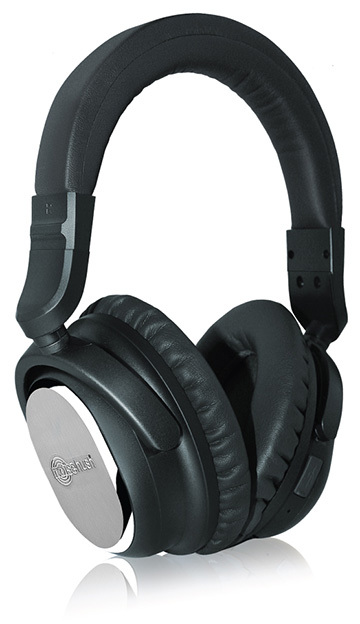 The noise cancelling works well in most environments and the fact that I can use them with or without the battery charged adds to the ease of use. Sure the i9’s are not exactly the same as major brands, but are adequate for most people's needs. For those that don’t need or want the Bluetooth wireless feature, NoiseHush also offers the i7s. They are less expensive and still provide noise cancelling and the ability to make phone calls. All other features are the same, such as the continuous audio even after the batteries are dead. The design and audio quality is very similar to the i9's, but the i7s don’t have a rechargeable battery (they require two AAA batteries instead) or a built-in microphone. You can still accept and make phone calls with the i7s, but instead of having the microphone built in to the headphone, NoiseHush give you a cable with an in-line microphone. The cable itself is not as durable as the i9’s, but it is at least made with the flat tangle-free design. The one major advantage of the i7s is that they have a battery life of up to 120 hours, which reduces the amount of time and hassle spent to maintain the noise cancelling feature. Also, both the i9s and the i7s have a foldable design to allow them to fit inside their respective travel cases. And with all of these similar features, the i7s offer a lot for a lot less. 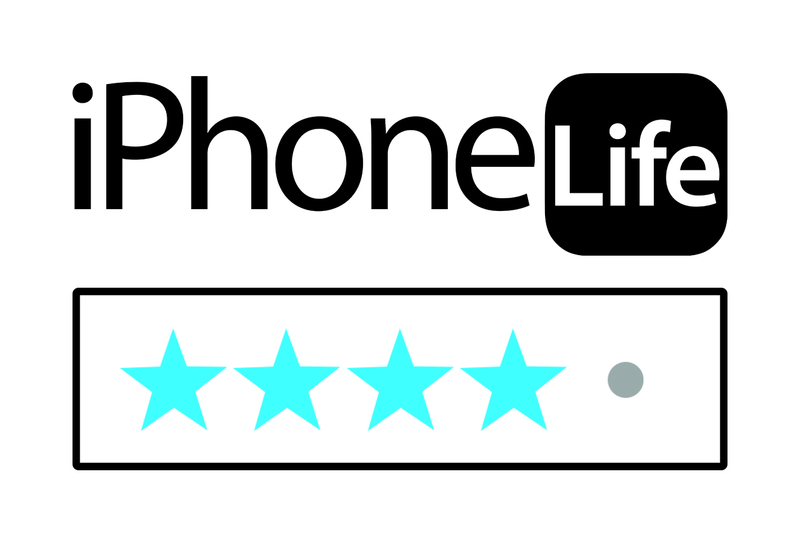 Brian Faulkner is a freelance web developer and marketing assistant at iPhoneLife. He holds two bachelors degrees in Art and Mathematical Sciences. Aside from his passion for technology, he enjoys staying active with soccer, taekwondo, and travel. You can reach him at brian@iphonelife.com.